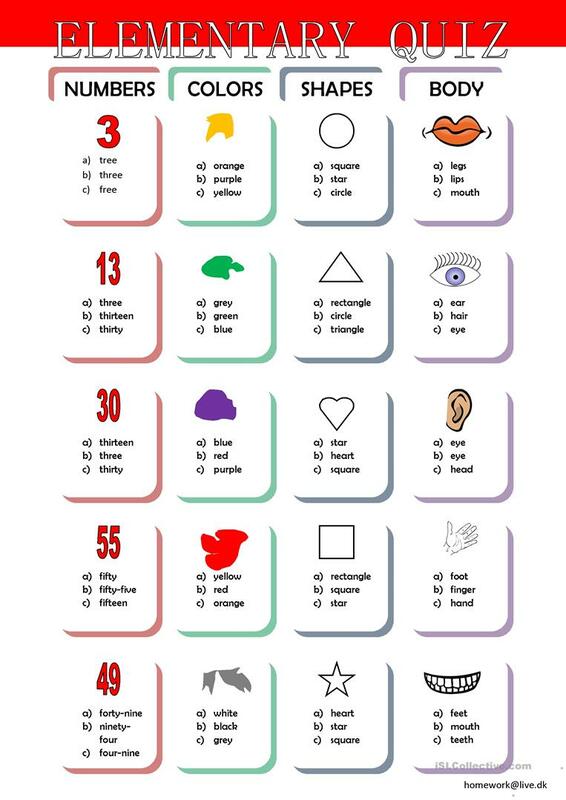 The first of 4 quizzes for elementary students. Beginners' vocabulary are being tested. The present downloadable handout is a great resource for elementary school students at Beginner (pre-A1), Elementary (A1) and Pre-intermediate (A2) level. It can be used for working on your class' Reading and Writing skills.